A new report from the European Commission draws upon our grassroots innovation research as one way of analysing social innovation and the environment. 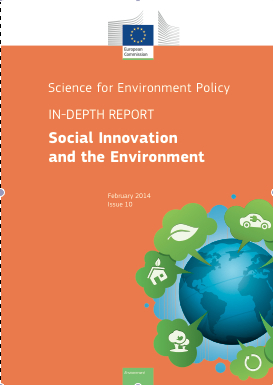 The In-depth Report from the Science for Environmental Policy unit reviews a number of frameworks relevant to studying how social innovations can contribute to environmental sustainability. It also presents case studies of social innovations, and considers the challenges of appraising the impacts of these innovations. Our research into grassroots innovations is drawn upon to consider some of the challenges and insights into activities of innovators working at the grassroots level. This includes our work in pointing to the different kinds of knowledge – instrumental, ethnographic and structural – generated by grassroots activity. Other analytical frameworks are considered also, such as those arising from the TEPSIE project, which will be particularly useful for our involvement in the TRANSIT project and the role grassroots digital fabrication can play in transformative social innovation.